After months of dithering by the coalition Government following the scrapping of the Child Trust Fund on 26 October last year details of the new Junior ISA have finally been revealed. Parents were left in limbo when the Government announced last autumn that the Child Trust Fund would be replaced “next autumn” by the Junior ISA but were given no information as to how the new scheme would operate or where children with existing Child Trust Funds would stand. The situation become even more cloudy when the Child Trust Fund officially came to an end on 03 January 2011. What would be the position for babies born after that date? Thankfully it was announced on 31 March 2011 that the Junior ISA will launch on 01 November 2011. What About Babies Born Between 03 January and 01 November 2011? 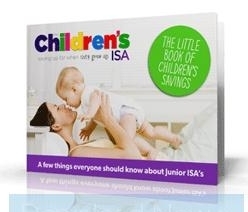 Although the Junior ISA does not officially launch until 01 November 2011 the Government have confirmed that eligibility will be back dated to the end of the Child Trust Fund so that babies born between 03 January and the Junior ISA launch date of 01 November 2011 will be eligible to take advantage of tax free savings using a Junior ISA. Our Child Was Born Before September 2002, Can We Start a Junior ISA? The Child Trust Fund commenced in September 2002 so any child born before then, who will not be 18 years old by the Junior ISA launch date of 01 November 2011, will be eligible for a Junior ISA. My Child Already Has a Child Trust Fund, Can I Start a Junior ISA? No. If your child already as a Child Trust Fund then you cannot also start a Junior ISA for him or her. You may however be able to transfer your Child Trust Fund to your Junior ISA.